Find out what happens when the Practical Classics team try to buy classics for less than £750 and drive them to the Swiss Alps! It’s a bid to attend the incredible Swiss British Classic Car Meeting on the shores of Lake Geneva, where 1500 of the most expensive and exciting British classics will be in attendance. What will our intrepid team go to Switzerland in? Also: Epic BMW restoration, Rover P5B at 50 and more tech advice and tips than you can shake a spanner at! Click here to buy the latest issue & get free PostAGE! £750 classics go to Switzerland... Or do they? Find out more when you buy the latest issue of Practical Classics. Jamie Rose had a battle to restore his spectacular 2002tii. The car he’d bought in 2005 was absolutely rotten. Find out what happened in the January 2017 issue! Exactly half a decade ago, the company whose HQ formed the backdrop to the quartet of Rovers you see arrayed here ceased to be a separate, independent entity. What if you want all the fun of a Midget or Sprite but you don’t have the cash or the desire to chase leaky roof problems? An MX-5 is too big and an MGF too common? How about the Smart Roadster – a German car built in France by Mercedes Benz – a modern day interpretation of the British sports car, priced these days like bag of peanuts. We take a look at this diminutive slice of engineering genius and find out how it was almost badged as an MG! So many classics in this issue – with so many incredible stories to tell about how they have been bought, restored, maintained and loved. Including this great story about a man whose dying wish was to see Concorde in a Rolls Royce. 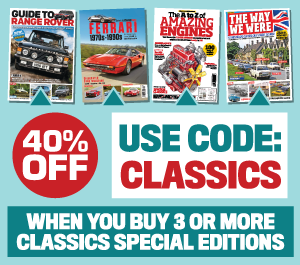 Plus: Ford Anglia restored, Volvo 850/T5 buying guide, one man and his self-built Citroen CX, why buying a classic is cheaper than catching a train and around the UK in the Triumph Club's Round Britain Reliability Run. 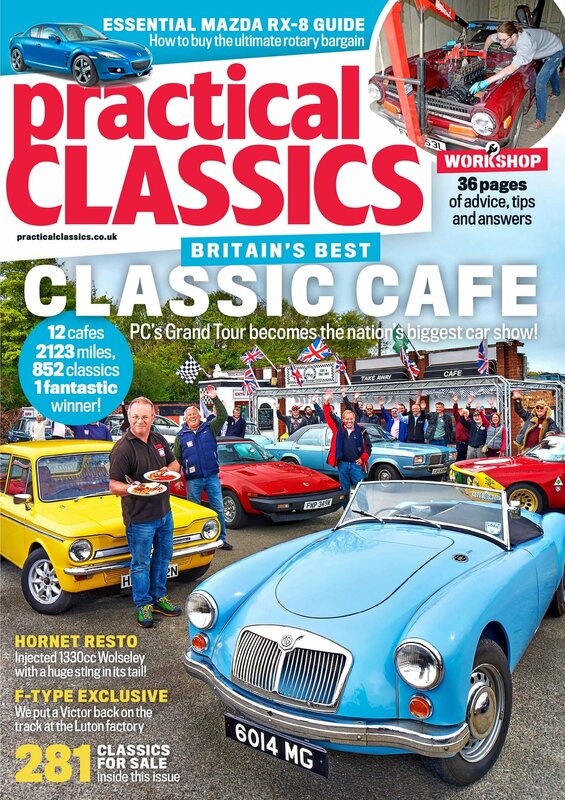 Find out what's happening here, when you buy the latest issue of Practical Classics.